AnTone returns to Discover with Adept, a peach of a track with all the hallmarks of a classic in waiting. Huge kick and bass join hands with acidic stabs and hints of melody that build towards the break in epic style. The breakdown does not disappoint with a strong melody and huge gated chords guaranteed to fill the room. 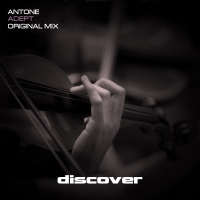 Pure trance beauty from AnTone - just the way we like it. 'Adept' is available now from Beatport and iTunes.